You never get tired of pay-what-you-want Humble Bundles. This time it's just a weekly sale that will last for 5 more days and the game on demand is none other than Bastion, the immensely popular and multi-platform action-RPG. Bastion is one of the most downloaded games in Ubuntu Software Center. The promoters of Bastion, Supergiant Games, have also announced their next big gaming title; Transistor. And the first ever video preview of "Transistor" looks absolutely fantastic. Check out the video below. Humble Bundle Weekly Sale is on, which is basically a charitable pay-what-you-want promotion conducted every week. This week its Bastion's turn. Pay $1 or more and you can unlock Bastion on Steam. Pay $25 or more and you get some cool Bastion merchandise as well. Transistor is a science-fiction-themed action RPG expected to be released in early 2014. 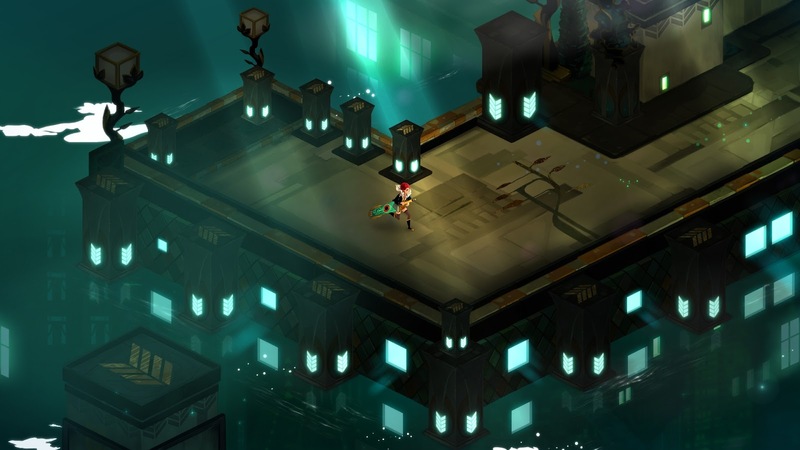 In Transistor, players assume the role of a young woman who gains control of a powerful weapon after a mysterious group of assailants nearly kills her with it. Now she must fight from street to street against forces that will stop at nothing to recover the weapon. Excited? We're too! And look at that trailer. The soundtrack is still playing in my head. Barely 2 minutes long video is one of a kind. That's how it's done folks. The Minuum Android Keyboard Project guys should take a good hard look at this. No confirmations on supported platforms though. Hope they release the game for Linux and Android as well.